President Muhammadu Buhari, on Monday, held a closed door meeting with Service Chiefs at the Presidential Villa, shortly before proceeding to Daura, Kastina, for the Eid-el-Kabir celebration. Speaking with State House correspondents after the meeting, the Chief of Defence Staff (CDS), Maj. Gen. Abayomi Olonisakin, said the essence of the meeting was to review the security situation in the country in all the geopolitical zones, especially the situation in Benue, Zamfara and Taraba States. 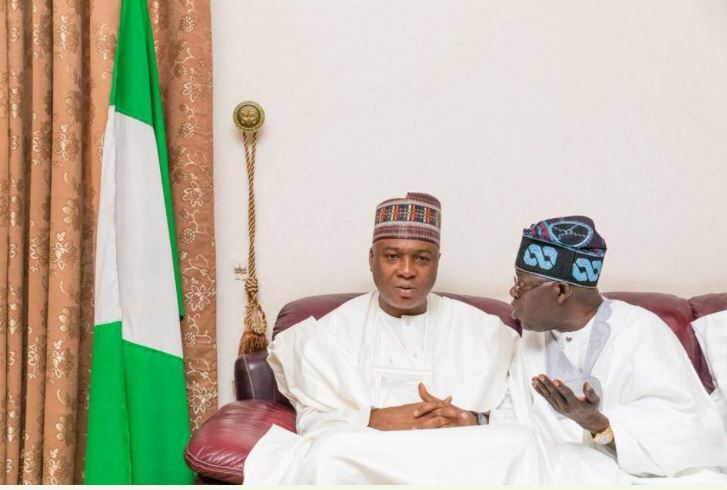 Following allegations by the National Leader of the All Progressives Congress (APC), Asiwaju Bola Tinubu, on Sunday, that the Senate President, Dr. Bukola Saraki left the ruling party for the People’s Democratic Party (PDP), because of his lust for the office of the President, the former Kwara governor has reacted. The Presidency on Monday said it recognises the Amaju Pinnick-led executives of the Nigerian Football Federation (NFF) as the current and only executive of the federation. Senior Special Assistant to the Vice President on Media and Publicity, Laolu Akande, who disclosed this in a message he posted on his Twitter handle, said the Federal Government had already conveyed its position to the world football governing body, FIFA. The Nigerian Bar Association (NBA) has elected Paul Usoro, a Senior Advocate of Nigeria, as its New National President. Chairman of the Electoral Committee, Professor Auwalu Yadudu, who disclosed this on Monday while announcing the result of the election held in Abuja, said Mr Usoro polled 4,509 votes to defeat Okafor Obi and Ernest Ojukwu who scored 4,423 and 3,313 votes respectively. The National Examinations Council (NECO) has released the June/July 2018 Senior Secondary Certificate Examination result. NECO’s Acting Registrar, Alhaji Abubakar Gana, who made this known in a statement issued in Minna on Monday, said of the 1,041,536 candidates registered, 1,032,729 candidates actually sat for the examination, while 939,733 candidates representing 90.47 per cent scored five credits and above without English and Mathematics.